Pictured are Cleethorpes Academy students with the four best letters, which have been sent to the United Nations urging them to do more to help children in Yemen. The students are: (l-r) Madison Brookes, Louise Peart, Morgan Adams and Julia Kosmala. 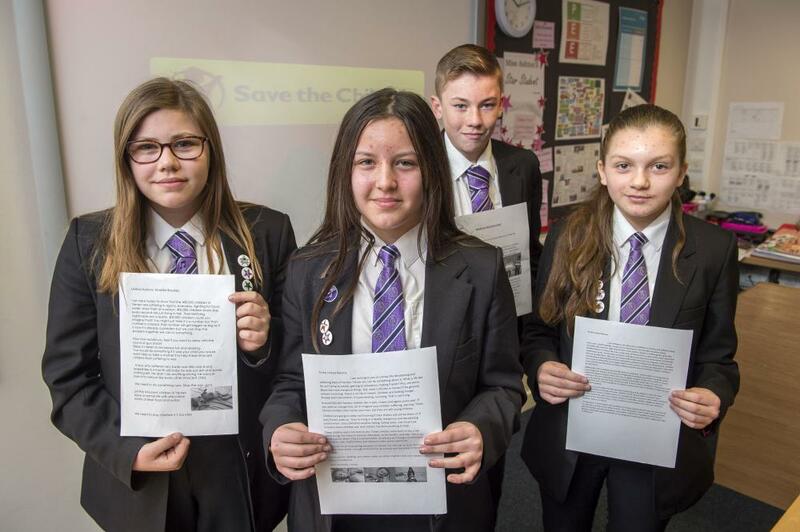 Compassionate English students at Cleethorpes Academy have written to the United Nations to support a campaign run by Save The Children to protect children in Yemen from violence. The Year 9 and 10 students have joined the campaign, 'Words Not Weapons,' in an effort to put a stop to the atrocities in which around 500,000 children are dying in Yemen each year. Student Louise Peart said: "We have written to the UN urging them to do more in Yemen to help the children. Malnourishment is the biggest killer. It has become the worst humanitarian crisis in history." 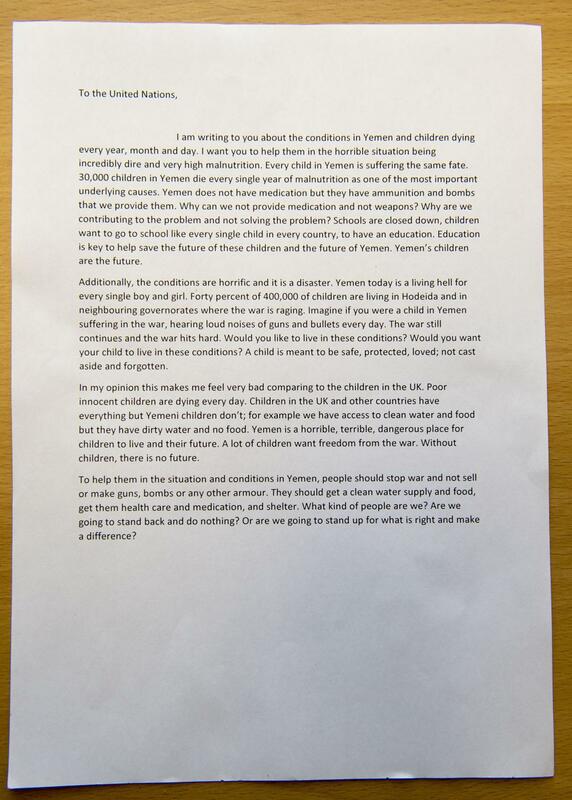 In her letter, Louise writes: "I'd like the UK to stop selling weapons to Yemen, for the war to stop, for Yemen to have clean water, enough food for all schools and hospitals to reopen." In another letter, Madison Brookes says: "How would you feel if you went to sleep with the sound of gun shots? You would do something if it was your child, you would want help so take a moment to help these innocent children from suffering war." Morgan Adams writes: "I am ashamed of our country sending weapons, we are giving these people weapons to kill innocent children." Julia Kosmala ends her letter with: "Are we going to stand back and do nothing? Or are we going to stand up for what is right and make a difference?" Gabriella Ashton, Cleethorpes Academy Curriculum Leader For English, said: "Students have been motivated and inspired by the atrocities in Yemen and are joining the fight with their words. We hope that we can make a difference and teach our students to write with purpose and passion." Julia Kosmala's letter to the UN.